The most valuable thing you’ll receive from a conference isn’t the free swag or the days away from your desk. It’s the community. Exploring new cities, meeting UX-minded people, and creating relationships. Bookmark this list of UX conferences in 2019 and free up your calendar. It’s time to open your mind. The first one starts…now! The conference is designed for anyone who is interested in UX thought and design. If your profession touches sites, software, or mobile, if user experience interests you for marketing or humanitarian reasons, whether it’s your profession or a side hobby—this one’s for you. The conference for UX, front-end, and product people who want to make a positive impact—on climate change, social equality, and inclusion. Join speakers from LEGO, Canonical, Which?, Ocado, Monzo, Automattic, Condé Nast, Booking, Virgin Atlantic and others to explore how designers can help businesses grow through UX & marketing. Two-days of presentations and workshops that promise to inspire and upskill you; delivered by giants from across the world who’ve pioneered the design and product industry. Conference for UX specialists, designers, analysts, project and product managers, designers, testers, developers. Organized by representatives of the UX community of St. Petersburg, happening annually since 2012. An ‘unconference’ for anyone involved or interested in user experience design, product design, user research, interaction design, information architecture, usability, accessibility, and other associated fields. This year our main focus is Designing for Perception: The senses and our modes of understanding. Beyond the tools and techniques, beyond the screen, our aim is to further open the discussion on digital design to help design professionals become better at what they do. 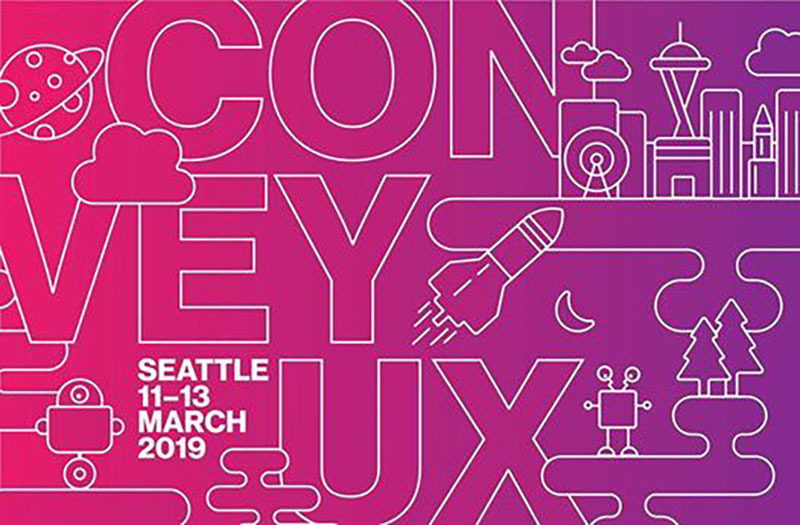 As the annual event in Seattle for user experience professionals, ConveyUX brings dozens of speakers and hundreds of participants together for education, networking and fun. You will hear about some of the newest trends in UX and design, presented by a diverse panel of speakers ranging from super gurus to people new to the field, from companies that range from being front-runners in user experience to those who are just starting to create UX teams. We always feature startups and strive to bring in speakers and participants who are taking user experience to a new level. We will look at the exciting future of UX research through three lenses: how, why, and who? Focus areas are technology & data (the ‘how’), role & purpose (the ‘why’), and inclusiveness/collaboration (the ‘who’). The AIGA Design Conference is the biggest event of the year for creatives all across the country. Join us for provocative speakers, like competitions, exhibitions, professional development sessions, and face-to-face roundtables with design heroes. The largest, most comprehensive interface design conference in Eastern Europe, featuring speakers from Smashing Magazine, Soundcloud, Airbnb, and others. With healthcare-tech being one of the fastest growing industries globally, how will healthcare UX improve, adapt and enhance patient experiences? We will discuss our UX challenges and how to design to the needs, not the wants, of our users. UXAlive is the largest international event on user experience and usability, composed of both presentations and workshops held by international UX stars. As UX practitioners, we need to understand how we can address and meet those expectations of immediacy in what we’re working on today. Every talk at the 2019 conference will be presented through the lens of immediacy in UX. 17th annual UX conference hosted in Boston. Changing cultures, leading by design. Conference in Portuguese. Each year, over 500 enterprise design and research leaders meet to sharpen their ability to create transformational products at scale. Come join your tribe and have conversations that will move your design forward at warp speed. Open up to the wisdom, experience and charisma of our seasoned speakers. Listen to inspiring talks that will likely change the way you plan projects, talk to users, design logic, or even listen to your boss. Mingle with the like minded digital product creators. 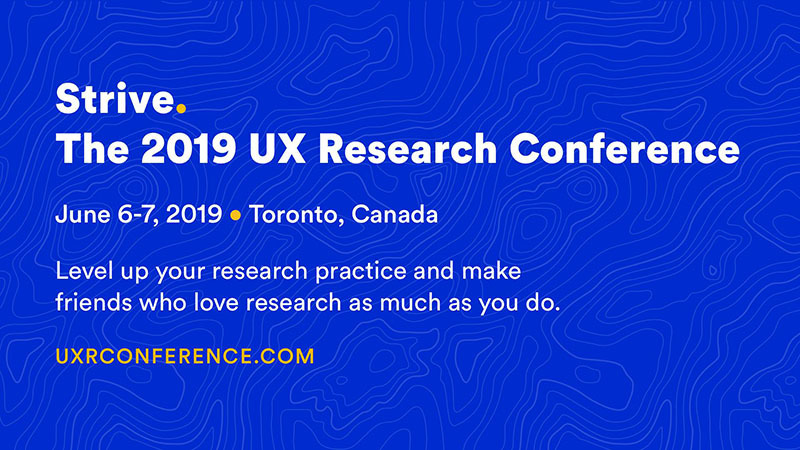 We bring together researchers, designers, and product people for listening, learning, and conversation about UX research. UX STRAT is a conference bringing together leaders, strategists, researchers, and senior design professionals from across the world to explore the latest trends in strategic UX/product /service design. A Spanish conference covering all aspects of digital design. UXPA International is bringing designers, researchers, and academics from all over the world together in Scottsdale, AZ. The six topics cover industry tools and techniques, emerging innovations, developing your career, and everything in-between for all levels of UX professionals. The focus of this conference is combining business and user experience design strategies in order to react to the consumers in the experience times. An Event Apart DC is a three-day conference with 17 sessions and an intense focus on digital design, UX, content, code, and more, giving you deep insights into where we are now and where things are going next. A tech conference for developers, rooted in community, exploring the internet of things, and all technologies used for mobile, web and cloud. It all happens at a giant waterpark because we are strong believers in good times. Over the course of a week you’ll immerse yourself in London’s tech and creative industries, exploring the hottest trends and latest inventions. You will have a chance to meet the teams behind the most ground-breaking products and learn how they approach design and UX strategy, work with clients, and improve their services. This event is designed to help product directors and user experience professionals better understand how they can work together. If you are responsible for strategic product decisions, you’ll want to know how to best leverage your the experience and insights of your UX colleagues. RAD Summit is a Colorado experience built specifically for Product Designers, Product Managers, Artists, Producers, Leaders, Developers, Entrepreneurs, and people who love the fresh smell of pine. 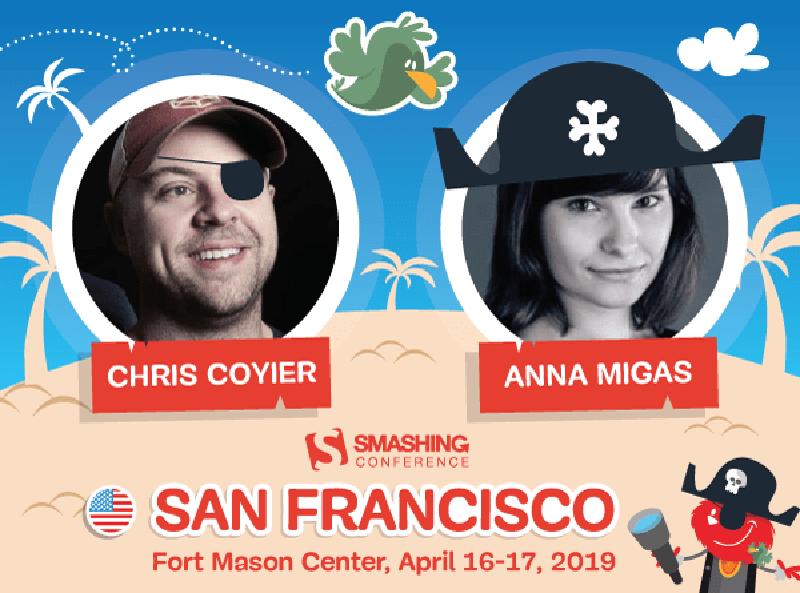 A camp-style conference for people who build awesome products. Clarity is a design systems conference focused on how we work together. We provide tools and standards to scale across an increasing number of devices, platforms, and products. At Clarity, we elevate our skills through multi-faceted inclusion, empathy, technology, creativity, and collaboration. An Event Apart Chicago is a three-day conference with 17 sessions and an intense focus on digital design, UX, content, code, and more, giving you deep insight into where we are now and where things are going next. Joint Futures is combining better craft, operations, and strategy towards achieving results that impact the people, the environment, and organizations to do more meaningful business. Together. The 8th SmashingConf Freiburg consists of one track, two days, 13 speakers, and 260 attendees, expect actionable insights for your work—right at the footsteps of the magical Black Forest. Join us in exploring minimal tech, design-based activism, and the new tools changing the way we work. UXDX gives design a seat at the table, bringing designers, developers and product managers together centered around a new agile delivery model. The event takes place in Dublin, Ireland, and goes from vision, execution, to launch with the overall theme to incorporate UX better into the product lifecycle to build a better product, and speed up delivery. Join us in 2019 for a 3-day conference covering the practice and disciplines of user experience, interaction design, and information architecture. User experience in e-commerce, marketing, and industry. Three days of input and networking. Workshops, parties and exciting talks on digital strategy, marketing, industry 4.0, e-commerce, design, technology, user experience, and more. Interaction is the most important interaction design, user experience, technology, and innovation conference in Latin America. The theme for Interaction Latin America 2019 will be La Convergencia, as a point where geography, people, culture, technology, and ideologies meet and evolve. Beyond Tellerrand is a conference about creative web design and development—and much more. Front is the product conference for UX designers and product managers. It’s four days of learning and growth, providing answers to deep organizational questions and insights into how to validate and solve the right problems in the right way. UXSEA Summit 2019 is a unique UX design event, bringing UX enthusiasts together in Singapore from all over Southeast Asia. Pick one (or more!) conferences from this list and make it a goal to attend. Do your homework, connect with other attendees before the actual event, and have an open mind. You can only achieve so much by sitting behind a computer screen. Make the effort to travel to an in-person event and bravely approach strangers. It may feel awkward at first, but everyone is in the same boat. After all, we’re all looking to make connections.